We just received word that the wifi-only Galaxy Tab could be launching the first week of April for $399, but the deals don’t stop there. 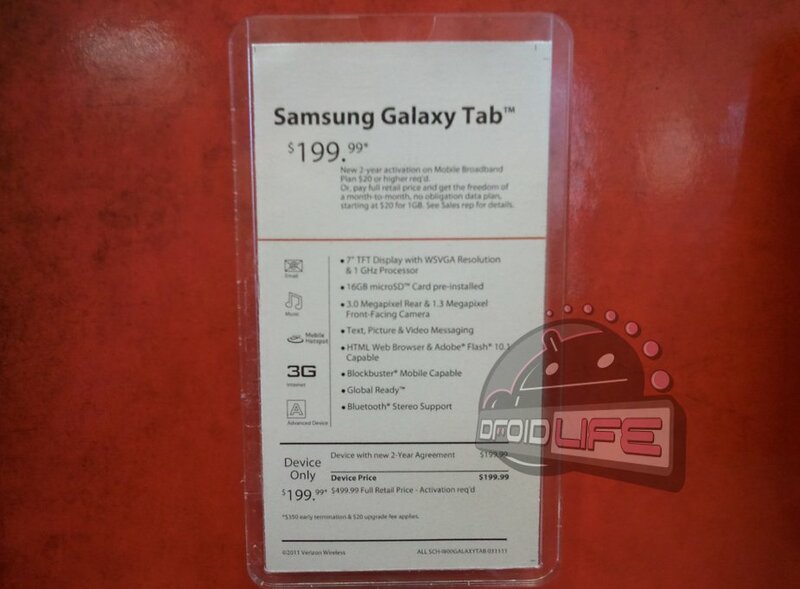 Verizon appears to have just lowered their GTab down to the ridiculously low price of $199. Now, obviously that’s on a 2-year contract, but man, talk about cheap. Sad thing is, they still probably won’t be able to move any even at that price. If there was some sort of guarantee that this puppy would receive Honeycomb (or even Gingerbread for that matter), then maybe you should consider one, but until then…tough call.